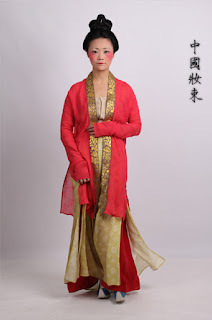 As a Chinese girl, I grew up on a diet of Chinese period drama and the one thing I love about them is the costumes or hanfu. 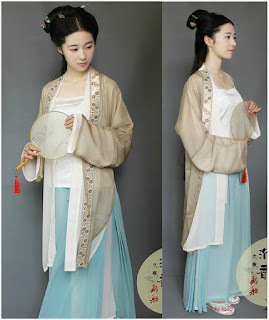 So pretty with the flowing sleeves and elaborate hairstyles. 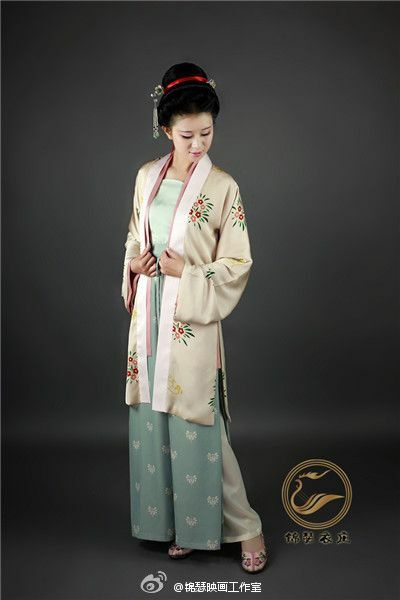 I have spent many hours staring at hanfu and last year I decided to take the plunge and make something. However what period? Most of the female hanfu are dress which is fine for summer but I would like something practical and for me that is trousers and guess what there is a dynasty which features them, the Song Dynasty! I decided that I would make the most distinctive part of this style of hanfu, trousers. If you look at the pictures above you will see that they come in two parts, an inner part and then the side split part. At first I need to find out how these two were put on and fortunately I managed to find a site that show you how it was all tied here. Therefore time to draft my first ever trousers and so I needed to find a user-friendly guide. The best one for me was this one from "In the mood for Couture". The tutorial led me from one step to the next and finally I managed to draft a pair. I took some liberties like making them extra baggy and straight leg so the chances of it not fitting was zero. I went on a fabric buying spree and one of the fabrics I picked up was a cotton jersey. It is lovely! 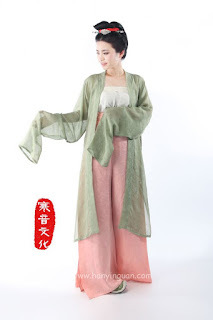 Soft and very comfortable and has a lovely drape. Brilliant for the inner trousers. Sorting out the front placket. And before you now it, finished. Now to make some over-trousers which is part two.